Located just minutes from Interstate 10, Villas of Oak Creste, offering the best apartments in San Antonio, Texas, boasts well-appointed one and two-bedroom floor plans. These spacious apartment homes offer oversized private patios, fully-equipped kitchens, and expansive walk-in closets—ideal for storing all of your favorite personal possessions. Residents will feel right at home thanks to our lavish amenities including a resort-inspired swimming pool with poolside barbecue grills, garden areas, and additional lush, green landscaping where you can take your furry best friend on the perfect afternoon walk. 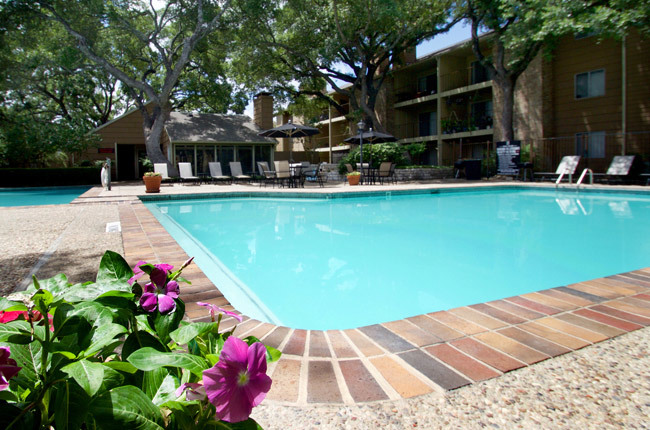 Settled in the heart of the Medical District of San Antonio, Villas of Oak Creste provides an unparalleled location near medical institutions, parks, schools, and public transportation as well as ample shopping and dining opportunities. Schedule your personal tour today! Settled right outside of Oak Hills Country Club where you will find golfing, tennis, and upscale dining, Villas of Oak Creste sets the tone for affordable luxury living in San Antonio, Texas. Our location on Fredericksburg Road grants residents with seamless access to Interstates 10 and 410. Medical professionals will take comfort in our close proximity to Methodist Hospital, Methodist Children’s Hospital, and University Hospital, easing your nerves on the morning commute as well as during those typically stressful on-call shifts. Despite your profession, if you’re looking to grab a bite after work, nearby Louie Italian Restaurant, Thai Basil Restaurant, and Old Smokehouse will satisfy your need for just about any type of cuisine. End your day at North Star Mall, a modern shopping complex that offers many fashion-forward clothing shops, in addition to electronic, toy, and department stores, which is all surrounded by a Target and Best Buy. As far as convenience is concerned, you’ll find it all here at Villas of Oak Creste.